During the Civil War, slaves worshipping at Wake Forest Baptist Church broke away to create their own congregation. The Baptist Church leaders offered help, funding and guidance, demonstrating the Christian “Spirit of Brotherhood” that’s always existed between the town’s various congregations. 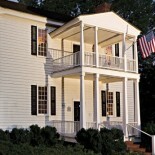 Although Olive Branch Baptist Church was originally located on the campus of Wake Forest College, the congregation eventually moved their church to a property in the East End, the town’s historically African-American community. 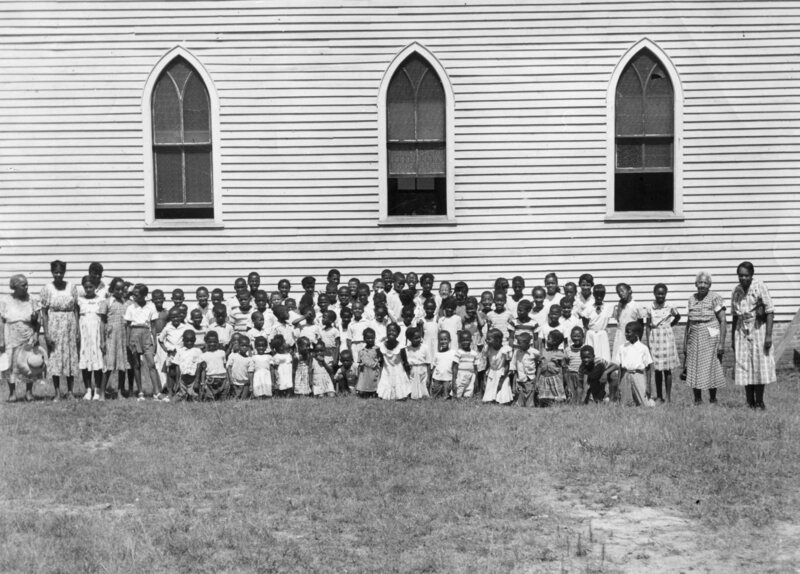 In this circa 1945 photograph, Sunday school children pose with teachers, including Ellen Powell (right) and Lucy Harris (left) outside Olive Branch Baptist Church. The old building burned in 1956 and was replaced with a more modern brick structure. This entry was posted on August 20, 2013 by wakeforestmuseum in East End and tagged East End, Olive Branch Baptist Church, Wake Forest, Wake Forest History.